Born in 1960 at Shizuoka Prefecture, Hamamatsu City, Kazuhiro Furuhashi began his career as an animator on Ranma 1/2, before moving onto production. 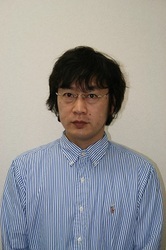 His directorial debut was in 1990 with the Ranma 1/2 Hot Song Contest OVA. His most notable directorial work includes the entire run of the popular Rurouni Kenshin, Hunter x Hunter, Le Chevalier D'Eon, Real Drive and Amatsuki. Since 2010, he has directed the Mobile Suit Gundam Unicorn OVA, which was successfully completed with the release of the 7th volume on May 17, 2014. It became the top record-breaking megahit in Japan, with over 20,000,000 DVD and Blu-ray units shipped, reaching the No. 1 spot in new weekly Blu-ray release rankings.